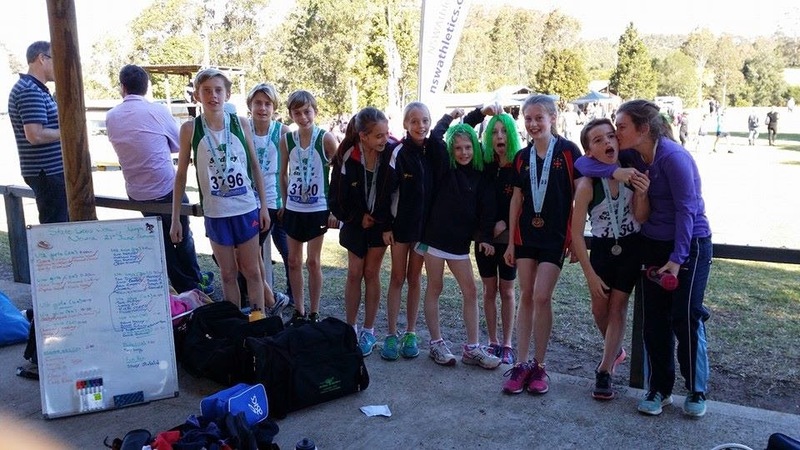 Nowra is such a wonderful setting for the state cross country championships, and every year more and more juniors make the 3 hour each way trip down there. 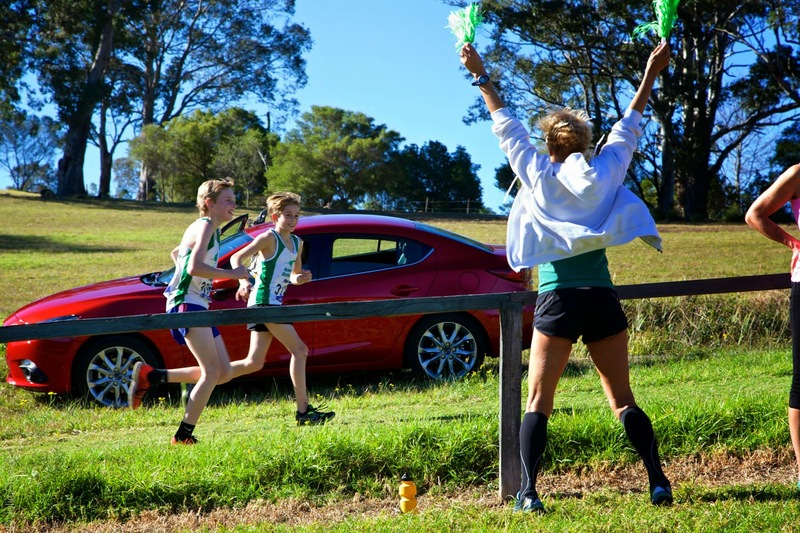 It was a great day of racing for most of the teams, despite a number of late withdrawals, with podium finishes for the under 14 boys, under 14 girls, under 16 boys and under 18 boys. Special mentions go to young Hannah Lovlin who ran up in the under 14s and to Dan Cooper and Tom Davies who toed the start line of the under 18 boys 6k within 10 minutes of finishing their own race. Dan went on to to out sprint Tom to claim the fourth spot in the team, earning his second team medal of the day. David Gardiner, Becky Rogers, Amelia Gorman and Bethany Halmy all ran very well as individuals with no team. 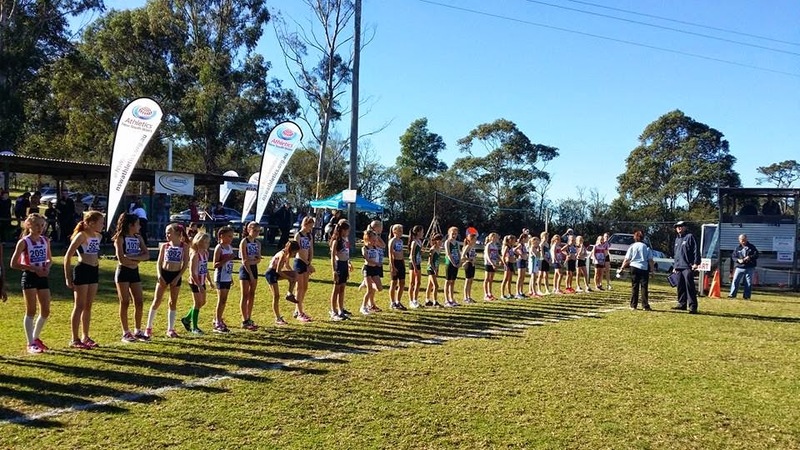 Tom Davies and Sophie Gocher, both under 14s booked their spots in the NSW team for the National Cross Country Championships next month with their silver and bronze medal performances yesterday. 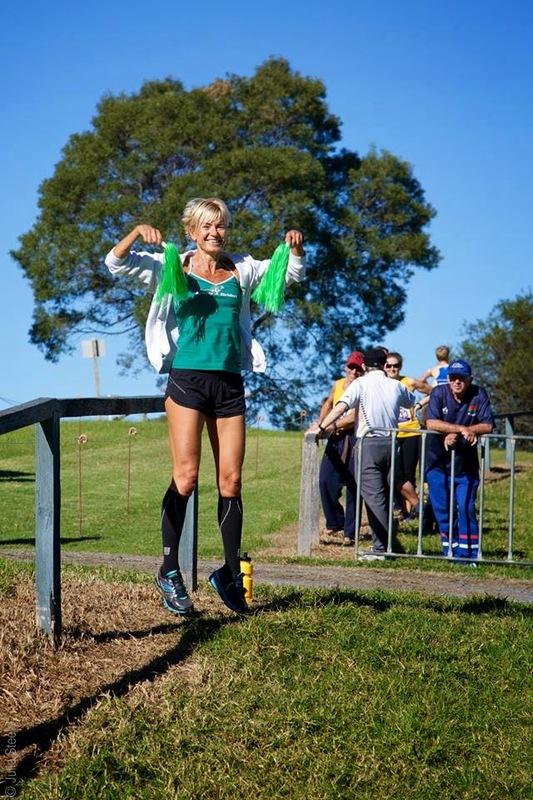 They became only the 3rd and 4th Sydney Striders Juniors to win individual medals after former NSW Cross Country Champion Josh Phillips from 2 years ago and Lachlan Francis who won silver last year. Ciara Sinclair ahead of Emily Gocher in the under 12 girls 2K race. A sea of under 14 boys on the start line for their 3K race. Hamish Longworth in the under 14 boys 3K. 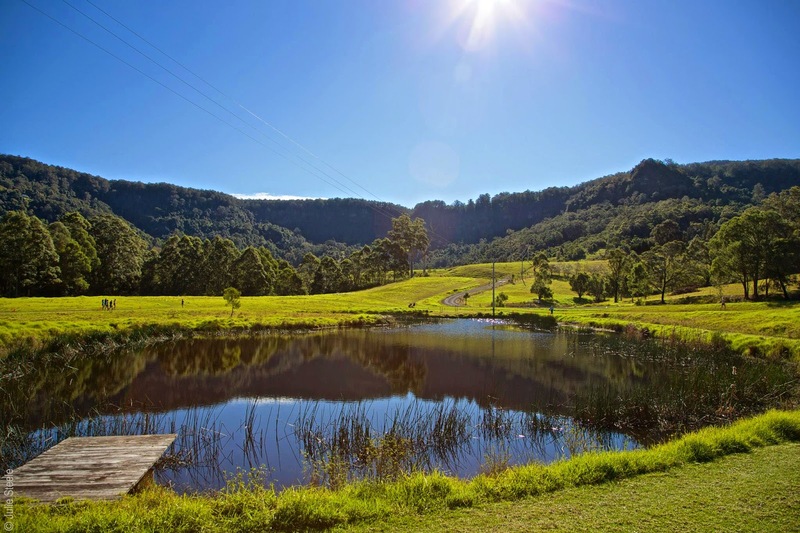 Look at that scenery! This hill is near the end and everyone in every race has to run up it at least once. Under 16 boys Lachlan Cooper, Fraser McKinlay and Nick Corel with their team medals. Josh Phillips had gone home. 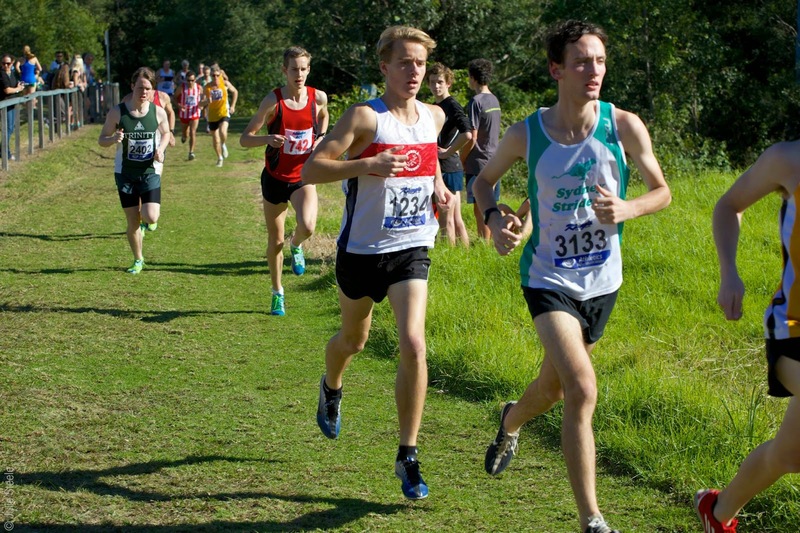 David Gardiner in the under 20 boys 8K race.